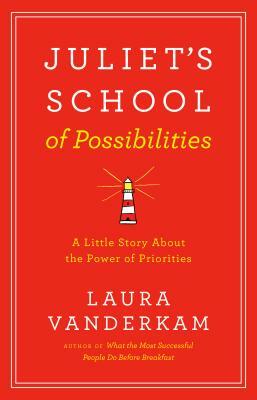 Laura Vanderkam is the bestselling author of What the Most Successful People Do Before Breakfast and Off The Clock, among others. Her 2016 TED talk, "How to Gain Control of Your Free Time," has been viewed more than 5 million times. Her work has appeared in The Wall Street Journal, The New York Times, Fortune, and other publications. She lives with her husband and their four children outside Philadelphia. "Laura is my go-to expert for time management and Juliet's School of Possibilities is a delightful book. You can read it in a couple of short sittings, then go away with a lifetime of application." "Thousands of books explain how we should set priorities, stay focused, and make time for what truly matters—but that advice, however sound, is all too easy to ignore. Laura Vanderkam takes a different approach. By harnessing the irresistible power of story-telling, she makes those aims vivid and compelling in an entirely new way, to show us how and why we can make room for possibilities."